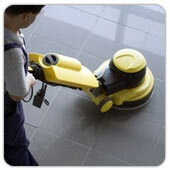 Ceramic Tile & Grout Cleaning Cleaning grout takes a combination of specialised industrial equipment and heavy duty cleaning products. By using a specially developed cleaning solutions & high pressure van mounted cleaning equipment we are able to clean your ceramic tiles & grout to the highest standards. 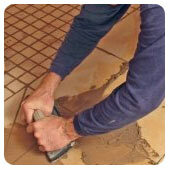 Ceramic Tile Sealing Sealing your tiles and/or grout, helps prevent & reduce staining. It provides a barrier for a short time to remove the staining product, and helps reduce the damage caused from the stain itself. Ceramic Tile Regrouting Tiles are often in good condition but grout is crumbling and has come away leaving the area looking dull & shabby. 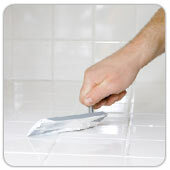 Tile Regrouting is a process that will dramatically improve the appearance of any tiled area that has endured years of daily traffic or wear and tear. From showers, to bathrooms, kitchen splashbacks to tiled floors and walls, regrouting can leave a tiled area looking fresh, clean and like new for a fraction of the cost of replacing the tiles. Ceramic Tile Repairs Replacement & Repair of loose tiles, cracked tiles, chipped tiles, broken tiles or even discolored tiles on your walls, floors, stairs, swimming pool, or anywhere else you have tiles fitted in your home or office. High Pressure Cleaning (Jet wash) For external areas like driveways and pavements. 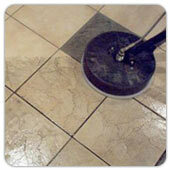 High Pressure washing is a great way to clean the grunge and grime from concrete driveways, pathways and patios. By using a pressure washer, you'll eliminate ugly oil stains, slippery moss and algae, and the danger that someone will slip on slick dirt or muck. 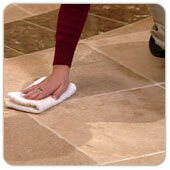 For Concrete, Brick, Pavers & Exterior Tile Cleaning. 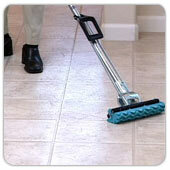 Grout Color Sealing Sealing your grout with a quality color sealer that will stay looking the same for years to come. After thoroughly cleaning the tiled floor area, an epoxy based colourant is applied to the grout joints giving a consistent appearance and also sealing the grout to prevent future staining. 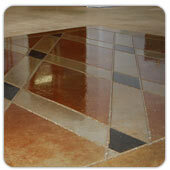 The epoxy based grout colourant comes with years of warranty against peeling, chipping, cracking or fading. Tile Stripping Stripping, scrubbing and cleaning to remove old sealants and its residue and restore the original appearance of the floor.